So one of the reasons I haven't been blogging much recently is I've been making gifts that I couldn't show on my blog until I gave them to their intended recipients. The adorable Pippa Patchwork is having twin boys later this summer and I was lucky enough to be invited to her shower. I knew she'd already made quilts for the babies so I went with a couple practical and cute items. 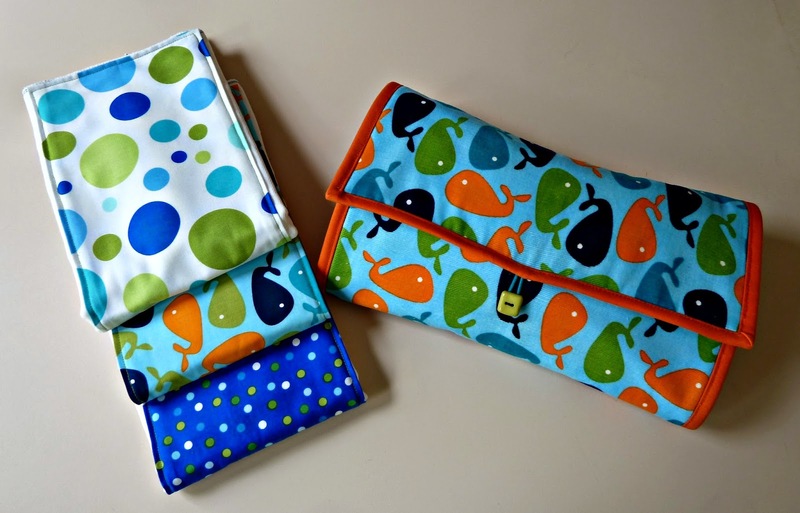 The diaper clutch is loosely based on Cluck Cluck Sew's Changing Pad Kit tutorial, which is to say it looks the same but I made mine totally differently. It's nice not to have to take your entire diaper bag every time you leave the house. 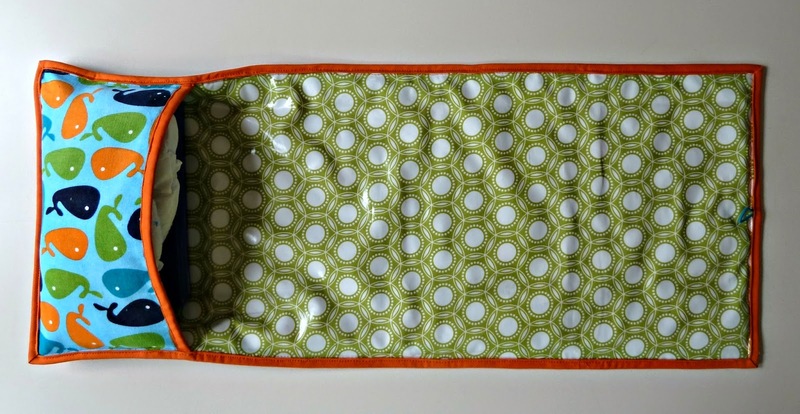 This is perfect for a pack or wipes and a couple of diapers. I'm trying to get better at using my stash so I dug out this adorable Ann Kelle corduroy for the outside and more of the Joel Dewberry laminate I got at Marden's last summer with a layer of batting in between to make it a bit more comfortable. I basted the 3 layers together and then added binding to the edges. It was a little tricky sewing down the binding on the laminate but I took it slow and was pretty happy with the way it came out. 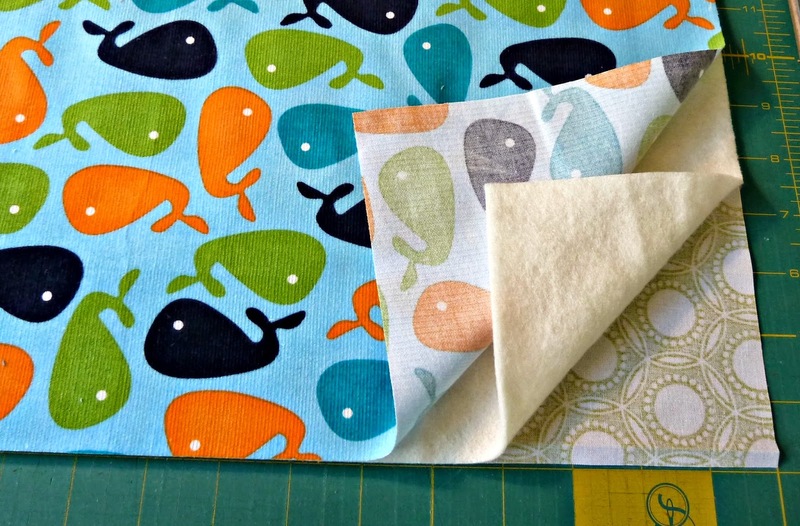 Amy Butler has some great tips for working with laminate! 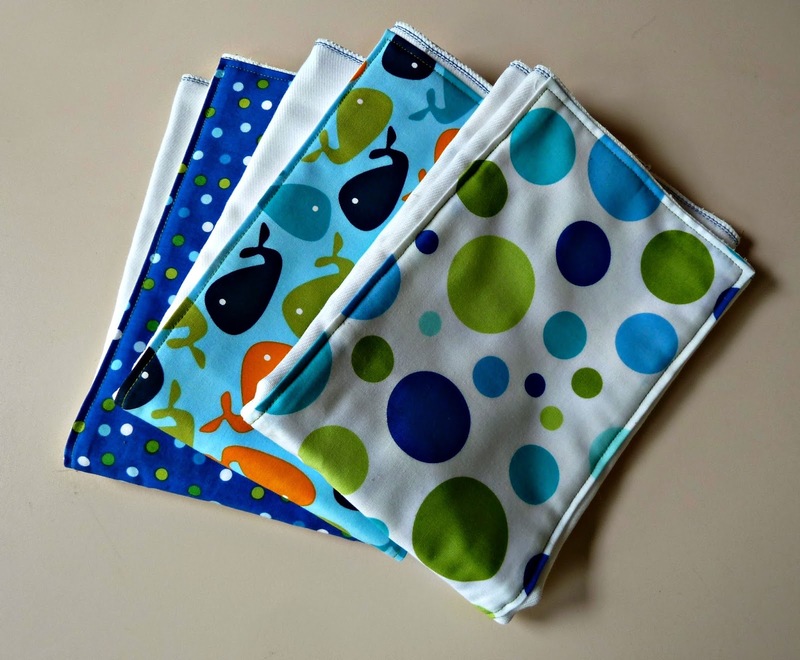 In my experience you can never have too many burp cloths so I whipped up a few coordinating ones also. I can't wait to meet these guys!!! SO cute Alice! You know I love those whales. Congrats to Pippa too- what an adventure! 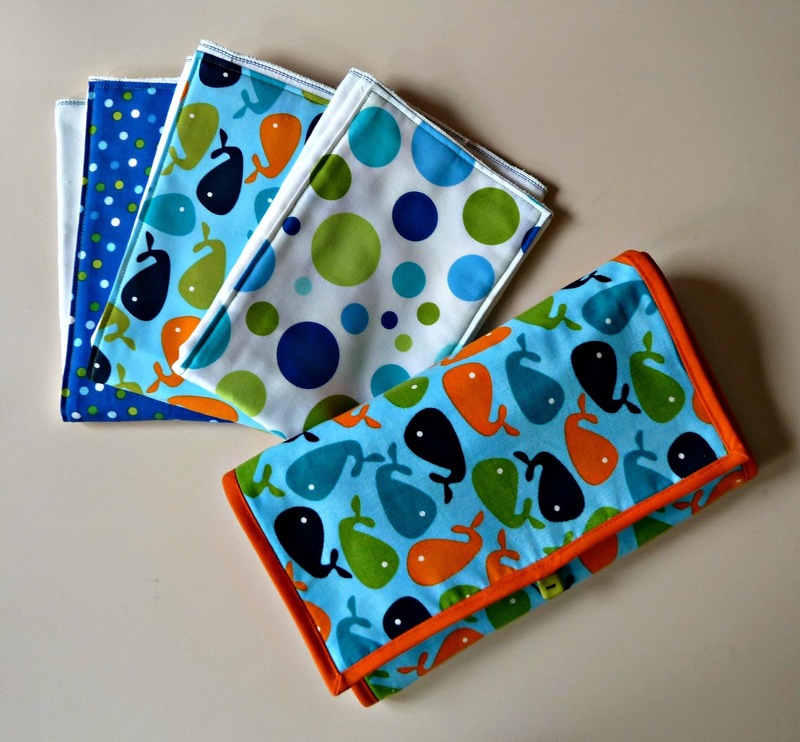 These are so cute - what a great use of that fabric! These are so adorable! Perfect gifts for baby shower!